The musical career of British singer Jefferson began in 1961 as a lead singer and solo guitarist in the formation The Rockin 'Berries. 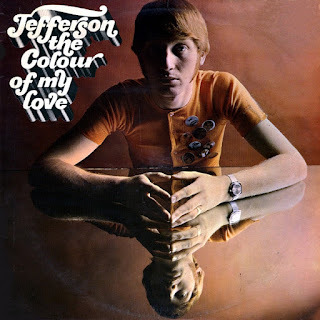 After the group dissolves in 1968, Geoffrey Turton starts his solo career, names himself with the artist Jefferson and is successful with the Paul Ryan number The Color Of My Love. At the end of the same year, he joins the US Top 40 with Baby Take Me In Your Arms. Also two LP's from the same period come in the charts. Ransomware, what a looser !